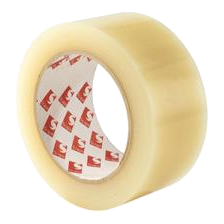 2901 is a 0.15mm adhesive polyethylene tape which uses an aggressive pressure sensitive rubber-based adhesive system. 2901 is Clear, Black, White, Red, Yellow, Grey, Blue. Colour : Clear, Black, White, Red, Yellow, Grey, Blue. The tape should recover a few seconds without tension before sticking as an excessive stretching can produce some creep-back. The rolls should be stored flat on their cut edges in the original packaging. The product must be protected from dust, heat, moisture, direct sunlight and solvent fumes. Storage temperature between +10°C and +30°C. Under these conditions, the storage life of the tape in a temperate climate will be at least one year. Surfaces should be clean, dry and free of dust, grease, oil or other contaminants.